There are few things that take my breath away in this world. Such rare and precious moments of utter astonishment and joy are the highlights of life. As singular events, they may be different for each person. Yet that feeling in your heart, perhaps an involuntary shudder in your body, a sharp in-breath, a gasp and an electrifying buzz heightening all your senses, will be familiar. For me, I can list the following events: watching the sunrise warm the sands of the Namibian desert from the top of a one-thousand foot dune; seeing elephants appear like apparitions right out of the forest while on a Kenyan game walk; my first sight of the Antarctic Peninsula; watching Pete Townshend slash away at his guitar; that still, silent stare of a deer I encounter while on a quiet trail run; the incomprehensible number of stars you can see in a truly dark sky; astronauts walking on the Moon; and, anytime I see a whale in its natural habitat. John Rodsted scouting for whales in Wilhelmina Bay. 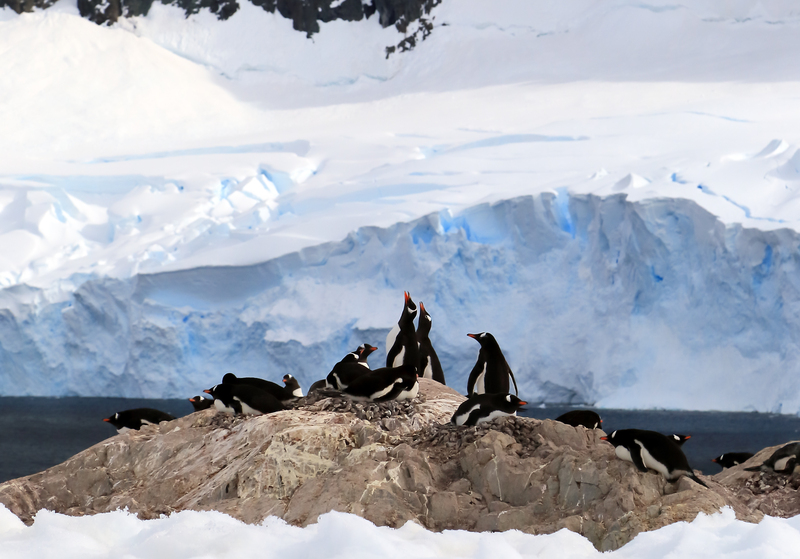 The Southern Ocean is a special place for whales, and Wilhelmina Bay is a favorite gathering spot on the Antarctic Peninsula. We will go looking for them today, but that will be in the afternoon. This morning’s adventure takes place on Orne Island. I am ready to go and have slept well during the night. Debbie spent the evening sleeping under the pink twilight on Ronge Island, choosing the camping option. Whereas I needed some solid slumber and chose the gentle rocking motion of the ship. Debbie appears around six in the morning, glowing in the warm light shining through the softly opened door. The cabin is dark, but great contentment is expressed in her face, and I realize the experience far out-shined any lack of sleep. We swap places for now, and I head off at the first announcement of breakfast. 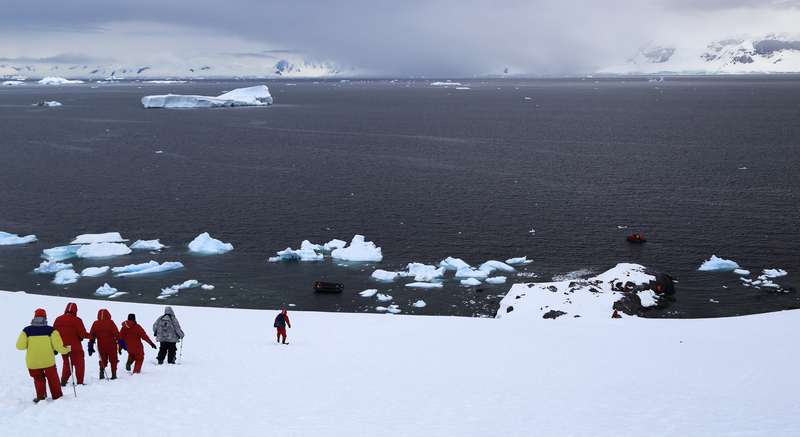 As we zodiac towards Orne, some detours are made to investigate icebergs which catch our fancy. There is fleeting magic in their shapes and colorful blue tints. Next week, they will look different. Not one of them is the same. Icebergs are tersely classified by height and shape, the shorter ones having the most imaginative names such as growler and bergy bits – those which barely show at the water’s surface. The largest icebergs are called, well…just very large. Most striking are the blue bergs. 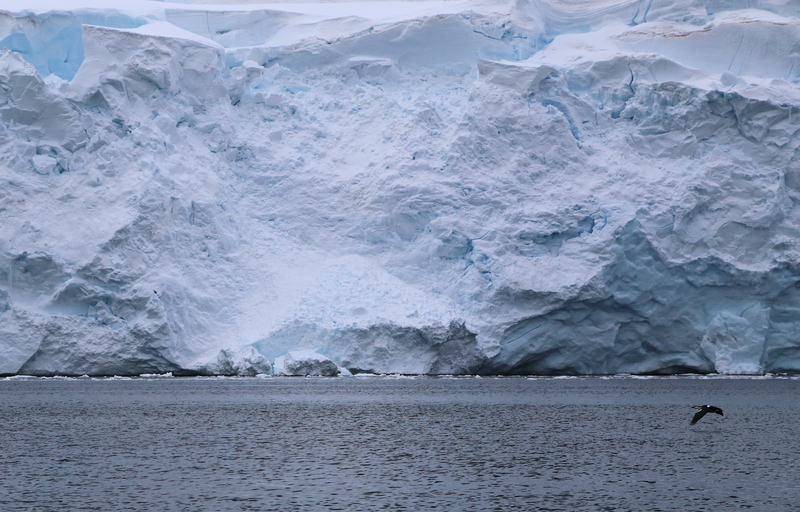 A deeply blue berg has been some time in the making as most of the air bubbles have been compressed out of the ice. Blue light cannot penetrate their denseness. Technically, the darker color results because the blue wavelengths are not absorbed by ice that is free of trapped air. These higher frequency wavelengths are therefore scattered back into your eyes which perceive a deeply soothing shade of blue (Glaciers & Glaciation). Bigger than a bergy bit. On arrival at Orne, Chad is at the landing site and gives us the lay of the land. He sketches out the safe hiking boundaries and reports that the toboggan run is open near the peak of the island. From my vantage point halfway up the slope, it looks like you can slide all the way into the Errera Channel. 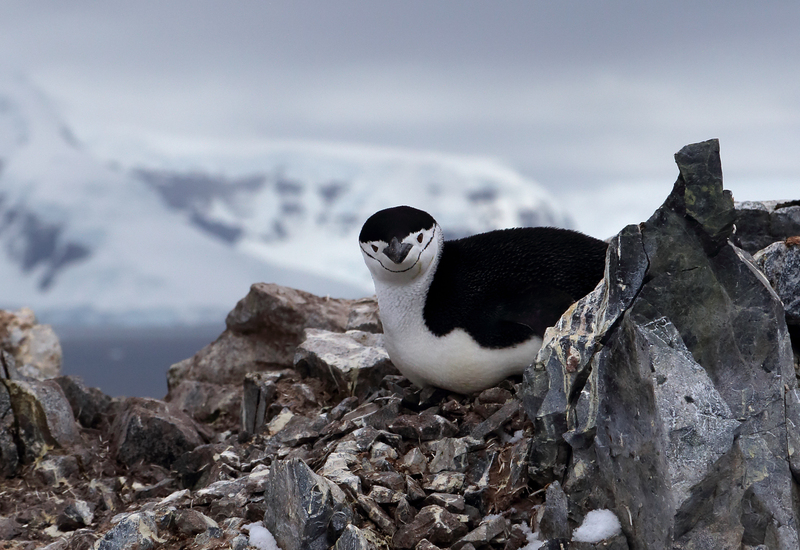 This is also chinstrap penguin country. A chinstrap on Orne Island. On return to the Ioffe, I rejoin Debbie. 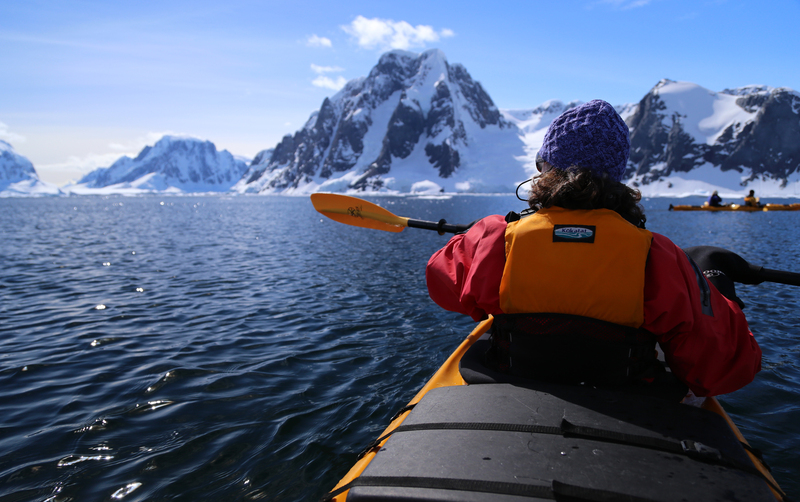 After lunch we embark in the zodiac and begin looking for whales in Wilhelmina Bay. Katabatic winds can slam down from seven-thousand feet above the bay and whip the water into a frenzy. But today it is merely overcast. Mette is piloting, and binoculars are scanning the horizon. We stop to admire some Antarctic Terns as they gracefully alight on top of an iceberg. Off to starboard, we spot the ephemeral spout that is the sign post of a whale exhaling upon its return to the surface, warm breath condensing into a mist when it hits the cold Antarctic air. If you are close enough, the fishy smell of so many krill informs as to a whale’s principal diet. Whales like to eat krill. If you are a blue whale, during the Antarctic summer, you might graze on four tons of krill a day (Antarctica, Global Science from a Frozen Continent). 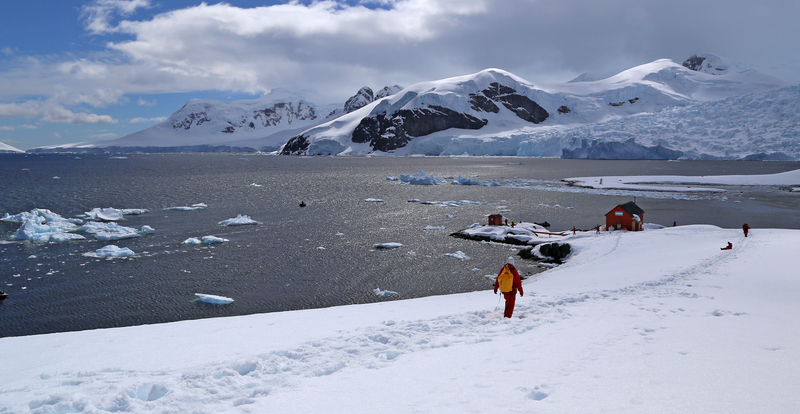 Hiking to the landing site on Orne Island. Such creatures are remarkably graceful. Gliding through waters, grouped in pairs in an elegant, almost silent dance, there is a moment before they dive deep when their backs arch and their magnificent flukes rise out of the water. There is that gasp that takes your breath away. Each fluke is like a finger print, and individual whales can be identified by their unique pattern. In a similar manner, the dorsal fin of an orca can be used for identification. It is now known that some whales live to be over one-hundred years. The prosaically named J2 was seen last May off the coast of British Columbia and is believed to be 103 years old. This grandmother was still swimming with her pod at that time. Seeing whales unhindered in these fantastic waters, it is easy to forget that during the years of commercial slaughter, perhaps 1.3 million whales were killed in the Southern Ocean. Even though whales have had some 40-years of protection in these waters, blue whale populations are still estimated at only 15% of the numbers that existed before humans came to Antarctica. These figures do not include the genocide that occurred in the Arctic. Beginning in the early 1600s from Svalbard to the Greenland Sea, then on to Baffin Bay and finally the waters of the Southern Ocean around Antarctica, these gentle mammals were almost brought to extinction in the 20th century. And now, whales are again threatened by countries that harvest krill. Should this important food source fail, further stress would be added to the survival of whale populations. Countries such as Japan and the United States have even gone so far as to try and enlist the help of the U.S. Internal Revenue Service in an attempt to silence the important work done by nonprofit groups such as Sea Shepherd, which call attention to these issues. Thanks to Wikileaks, we know that the U.S. representative to the International Whaling Commission conspired with the Japanese in 2009 to attempt the revocation of Sea Shepherd’s tax exempt status. A lone chinstrap climbs a slope on Orne Island. What a grim world it would be if whales were to become extinct. If those stars I mentioned at the beginning of this piece are not to weep, and are to remain bright, we must remember that it is important to walk softly on the Earth, to respect and cherish all life, and to remember that we are stewards of the planet. One Ocean Expeditions mentioned that after taking this voyage, we would become ambassadors for Antarctica. Perhaps in going to Antarctica, we also become ambassadors for the planet. “From here you can walk to the South Pole.” Although it is perhaps 1,700 miles as the skua files. Noah Strycker, author, ornithologist and Associate Editor of Birding magazine, who once spent three months with 300,000 penguins at Cape Crozier, is showing us the sights. We are perched with Noah on a ridge some two-hundred feet above an infrequently used Argentine base at Paradise Bay. Looking to the west and dominating the foreground, clouds blanket Bryde Island. Its humpbacked peaks seem poised to dive into the sea. Lemaire Island is to the right, and the Ioffe is docked in the shadows of clouds over Paradise Bay. Wiencke Island is visible beyond the strait – its nearly five-thousand foot peak stands bright and clear above a strata of clouds. The rocks speak of long extinct volcanoes. Interspersed with the geography tour, Noah has been delightfully regaling us with bird stories. In his latest book, The Thing with Feathers, The Surprising Lives of Birds and What They Reveal About Being Human, he writes that “penguins untied my shoelaces, hesitatingly preened the sides of my sleek pants, and fell in line behind me in a drawn-out game of follow-the leader.” It is impossible to watch a penguin and feel anything but complete joy. View of Paradise Bay from above Almirante Brown Station. But the charred edges of the station below tell a story that is other than joyful. The name of the Argentine base is Almirante Brown Station. The original base was constructed in 1951 and burned in 1984, allegedly by a member of the scientific staff who did not wish to “winter over.” From the very first expedition to spend an entire winter in Antarctica, the long Antarctic night has had a reputation of pulling minds into dark corners. Walking towards the landing site. During Sir Ranulph Fiennes’ 1980 crossing of the Antarctic continent, base commander Ginnie Fiennes “…heard babies crying in the darkness and someone whispering incoherently from close behind her.” She told her husband “…there’s something there…” when of course there was not (The Third Man Factor, John Geiger). This very same glittering, blue and white landscape that is now before me does not reconcile with such ancient impulses and fears. And yet, my sense is that these experiences are part of the draw of this cruelly beautiful landscape. It is unsettling to be stripped of the familiar references and distractions of civilization – to have no compass. There is a scarcity of landing sites. Those that are safe, cling to the shore with a narrow margin. I find these feelings accompany me at night when I am alone in the desert, since our overly bright cities shield us from the empty immensity of the universe. I lose my bearing and become lost in the stars. Enveloped by blackness so dark, I become fearful of what I might see should a light suddenly illuminate the unknown. And when the full moon is at my back casting shadows, its seemingly imperceptible gravitation tug is like an unrelenting and unshakeable presence just out of sight. Antarctica is technically a desert. So it is without surprise that I revisit these most wondrous and strange friends here. Some people uncover great religions in deserts. I discover little bits of myself in their vast emptiness. I begin to appreciate my imperfections, and my demons soften when light shines through the cracks. That is of course, the purpose of cracks and of perhaps Antarctica – to let the daylight in upon darkness (Leonard Cohen) – whether those cracks be personal, or those that threaten the very survival of humans on this planet. The greatest obstacle to living is expectancy, which hangs upon tomorrow and loses today… The whole future lies in uncertainty: live immediately. The following is a list of various websites of interest concerning Antarctica. It is meant to accompany the chronicles of our Antarctic Peninsula trip in 2013 and serve as a reference source for additional information. 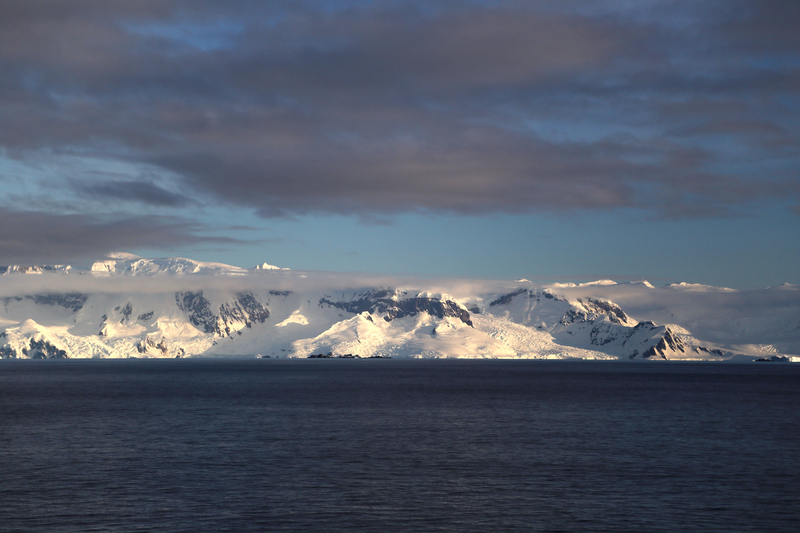 Morning in the Lemaire Channel. Amundsen-Scott South Pole Station. A nice blog on the happenings at the South Pole. Antarctic Fox. 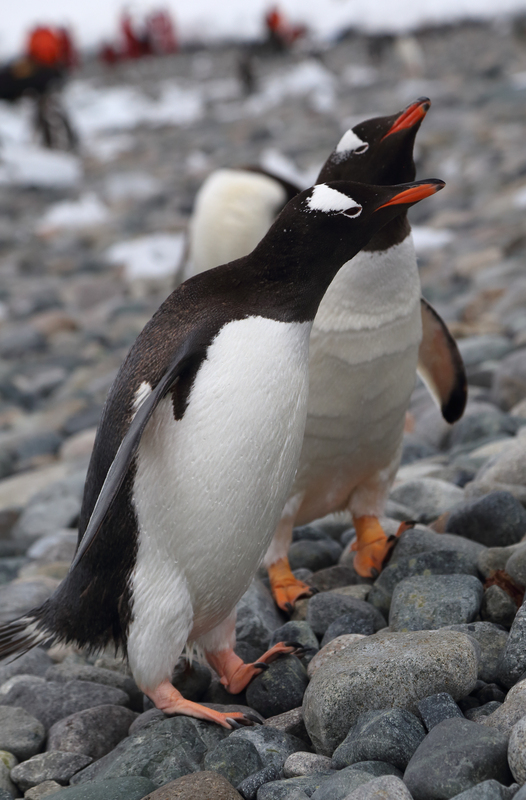 An often humorous account of a trip to the Antarctic Peninsula. 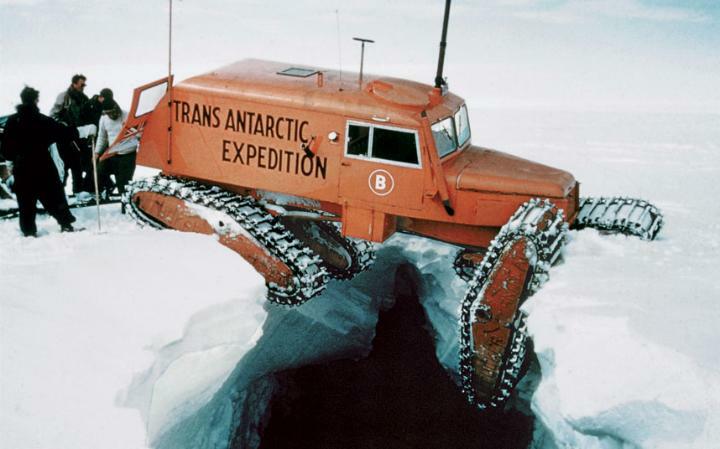 The Antarctic Heritage Trust. The people who conserve expedition bases left by explorers. The Antarctic Heritage Trust. This is the UK version with includes the lively Port Lockroy blog. The Antarctican Society. A U.S. based non-profit devoted to educational issues. Australia’s center of Antarctic and Southern Ocean climate change research which studies climate change impacts in Australia and the Pacific. The Antarctic Sun. 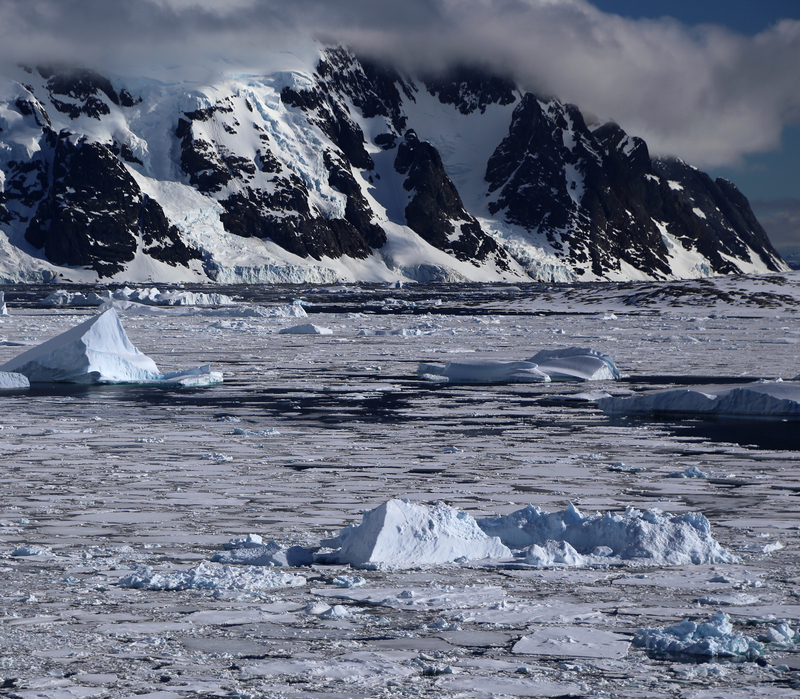 News from the United States Antarctic Program. Antarctica New Zealand. 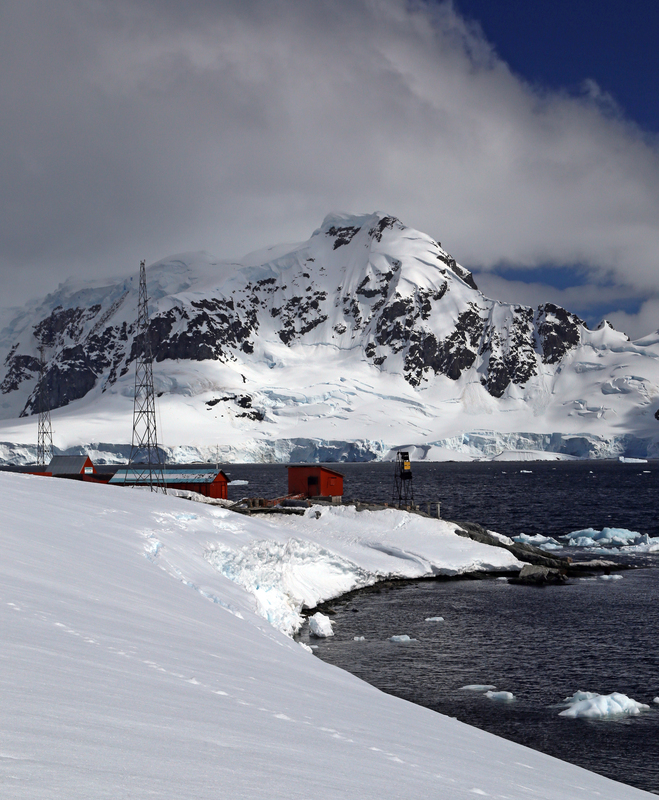 Scott Base – the other base on Ross Island. The British Antarctic Survey. Maps, books and more. Byrd Polar Research Center. Looking at what happens when things get cold. Cool Antarctica. A nice discussion on extreme weather clothing. Council of Managers of National Antarctic Programs. Coordinating scientific research on the continent. 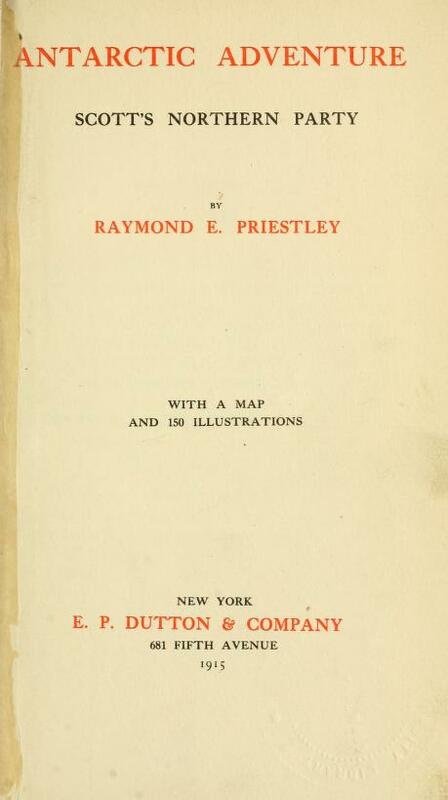 Field Manual for the United States Antarctic Program. 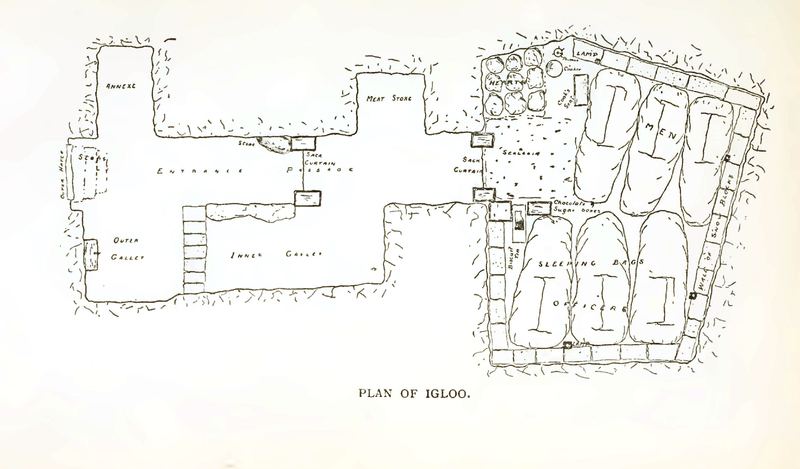 In case you would like to learn how to build a snow shelter. Gateway Antarctica. New Zealand’s center for study and research. International Association of Antarctic Tour Operators. IAATO is the rule setting body for responsible tourism. Possible landing sites on the Antarctic Peninsula. Mariners Weather Log. Though not specifically about Antarctica – news and information about worldwide weather events and phenomena. National Science Foundation Division of Polar Programs. New Zealand Cluster Munition Coalition. Important work done by Antarctic guides in between polar seasons. Noah Stryker. Birder extraordinaire and author who once spent three months with three-hundred thousand penguins at Cape Crozier. The Oates Collection. All about the man who went outside and has been some time. OneOcean Expeditions. The people to see about visiting Antarctica. Operation Ice Bridge. 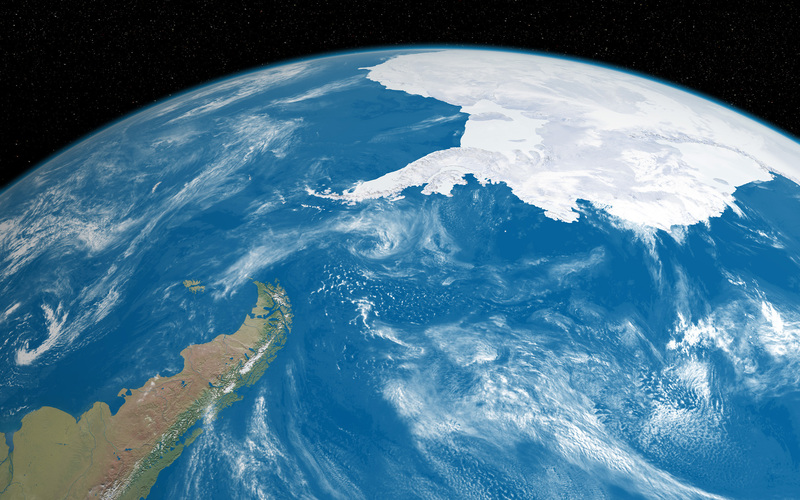 Building a record of the Earth’s changing ice. Antarctic Place Names. Provides a useful interactive map. The Polar Conservation Organization. Dedicated to a sustainable future. The Scientific Committee on Antarctic Research. All the latest cutting edge stuff. Scott Polar Research Institute. Research in both the north and south. Sea Sheppard. 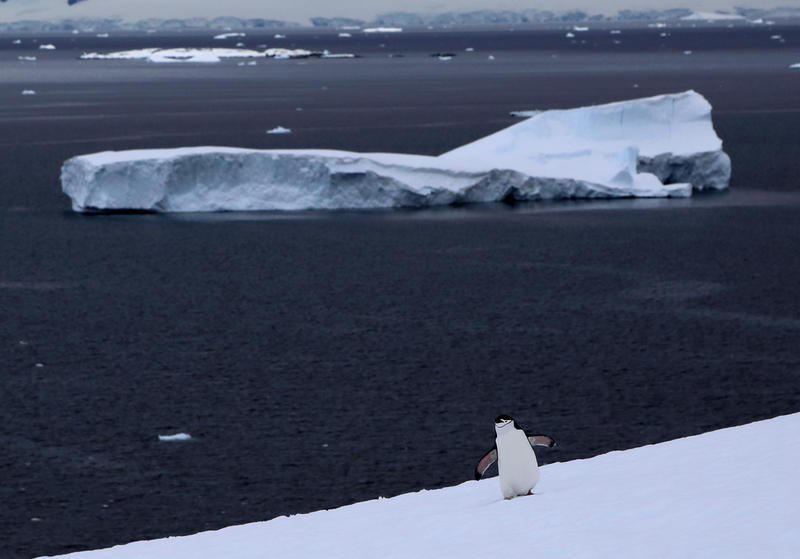 Though not an Antarctic site, this group does important work addressing the destruction of habitat and slaughter of wildlife in the the world’s oceans. South Pole. Presenting a history of Antarctic exploration. 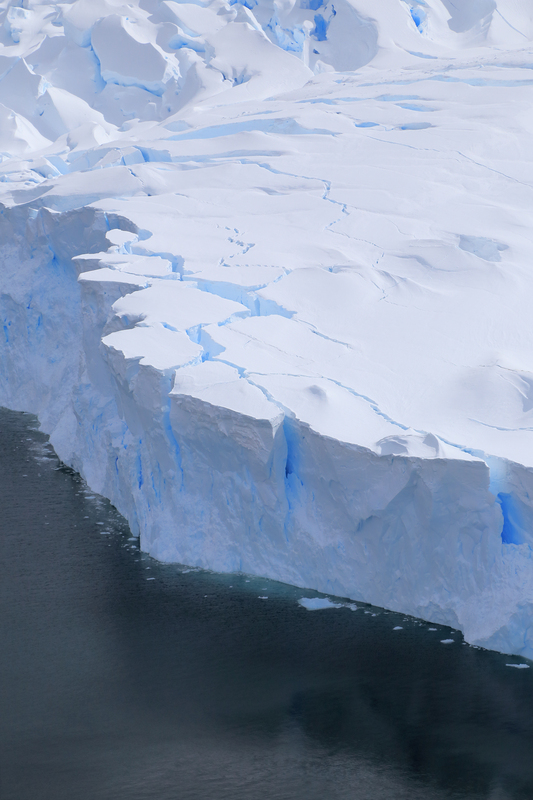 From NASA’s Earth Observatory – a discussion of the West Antarctic ice sheet. Bryde Island in Paradise Bay. There is a soft, audible in-breath on the ship’s public address speakers. Like someone is emerging from a deep, meditative trance. Relaxed but confident. Thus lulled awake by Chad, we hurriedly dress in layers, head caps, scarves and gloves, grab cameras and binoculars and dash to the forward observation deck where “the air bites shrewdly.” Although it is probably no colder than the mid-20s (Fahrenheit), it is not the invigorating chill that causes me to gasp. The palate of colors before our eyes reveals every shade of blue, with contrasting blacks and blinding whites reflecting a sun that can burn your skin in five minutes. Small bergs with darkly compressed blues appear inverted and reflected in water still as a mirror and obsidian black. Although the ship is moving, there is a hush in the air that complements the incomparable scene before us. Occasionally, the crisp brush of ice against the hull brings me out of my day dream. Debbie has a wide contented smile on her face. Behind us, at the northern entrance of the Channel, the Una Peaks stand 2,451 feet above glassy water, clouds trailing away from the twin summits like a veil. The deeply black rocks of these sentinels are what is left of extinct volcanos formed by a subduction zone which began throwing lava and volcanic ash into the air some 183 million years ago. The mountains which line the Channel were once connected to the Andes in South America. Further north in the Bransfield Strait, one plate is still slipping under another. Tectonic activity along this Peninsula can confuse the local magnetic fields. 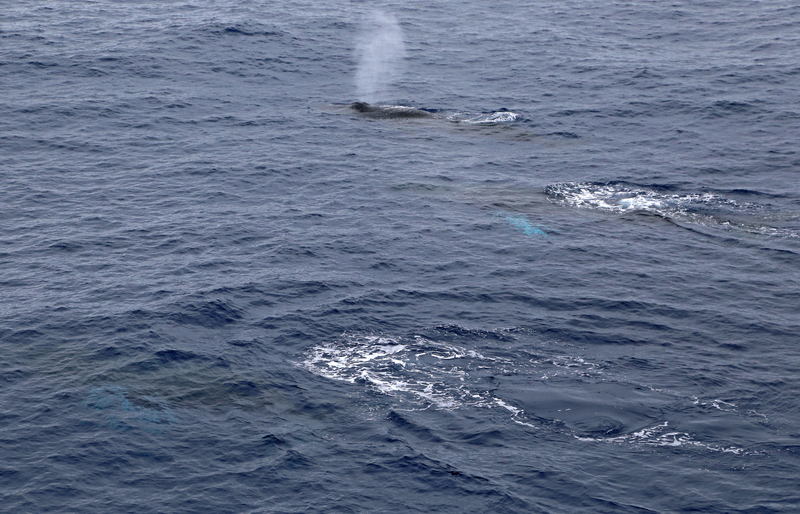 Beyond the southern exit of the Channel, in the Penola Strait, are humpback and minke whales. But it is time for breakfast and our first expedition. Una Peaks. Later in the day. At the morning briefing, Chad lays out the activities for the day. The ice has blocked the passage to the Ukrainian station at Verdnasky, which boasts the southern most public bar on the planet. So we will be unable to see the famous wall that holds a collection of bras donated by visitors. Ukraine purchased the station from the British for the sum of one-pound in 1996. It was here in 1985, that scientists from the British Antarctic Survey realized the ozone values in these rarified skies had been decreasing since the 1970s. Chad explains that the first excursion of the day will be to Circumcision Bay on Petermann Island (so named because it was discovered on the day of the Feast of the Circumcision, Forgotten Footprints). Then Michele Grant announces that the kayakers will meet in the mud room and be offloaded into the zodiacs before the gangway is open to the rest of the passengers. This is our cue to finish breakfast, grab our gear, and make for the mud room. Photographing penguins on Petermann Island. One of the queries on the pre-trip questionnaire asked whether we had ever “wet exited” a kayak. That is, tipped it over and exited while under water. Since this seemed like something to try first in warmer waters, we took lessons at Point Reyes on Tomales Bay some months before. Our instructor at Blue Waters Kayaking taught us how far we could lean the kayak to the left or right. This was a prelude to actually rolling over and wet exiting which was planned for later in the day. The first lesson was about getting a sense of balance. I was somewhat timid at first, so she appealed to my adventurous side (remember that I am an accountant – I don’t have adventurous sides) and encouraged me to lean to the left just a bit more. I was upside down and under water in an instant, trying to recall the move I was supposed to make that would pop me out of the cockpit and back to the surface. Remembering her instructions, I reached for the tab at the front of the skirt and yanked hard. Buoyancy did the rest, and I was breathing fresh air again. “Well, it seems like it’s time to learn the T-rescue,” was our instructor’s comment…with a big grin on her face. Back in the Ioffe’s mud room, we change into our dry suits, place cameras in dry bags, and make our way to the starboard gangway. Our names and cabin number are checked off, and a moment later we are in the Penola Strait taking our first zodiac ride. 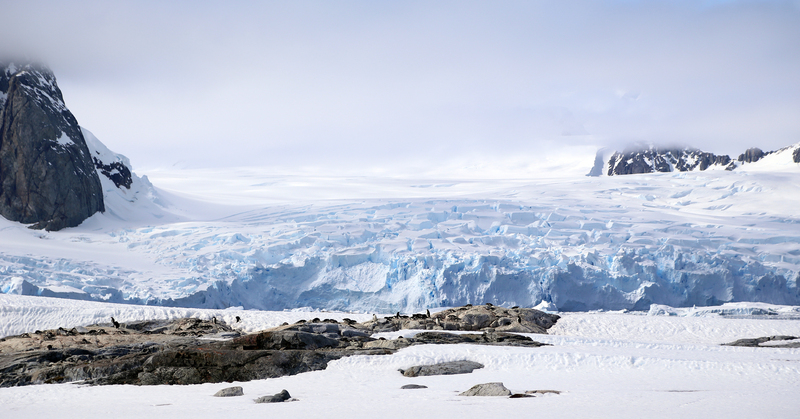 Glacier viewed across the Penola Strait from Petermann Island. “This cord I am holding will cut the motor if I fall over board.” Sarah Scriver, our driver, is explaining some zodiac safety while we cruise to where the kayaks have been off-loaded (her OneOcean bio states “Sarah has climbed to 6000m in the Andes, lived with a Shuar tribe in the Amazon Rainforest, chased tornadoes in the American Midwest and trekked for days in the remote wilderness of BC, Canada”). “In case you feel like rescuing me, you’ll need to plug it back in like this to get the outboard working again.” But then, she is so relaxed and sure in her navigation that it is hard to imagine this scenario. Nonetheless, I glance at the plug. Debbie and I are soon in our tandem and over her left shoulder, some three and one half miles distant, is Mount Scott. It seems all I need to do is reach over her shoulder to touch its summit. I must recalibrate my sense of distance. Without pollutants, dust and water vapor (despite all the water and ice, it is dry), the landscape is deceiving. I must look with new eyes. View from the back of the Tandem. Sarah has withdrawn the zodiac to a discrete distance. Close enough to be quickly at hand, but outside of our immediate awareness. Our paddles carve gentle strokes through the water creating the only sound in a vast panorama. There is nothing else I could want at this moment. In the afternoon we visit Port Charcot on Booth Island. While watching the ice stretch beyond the Dannebrog Islands to the horizon, I slip back into my dream, and imagine the possibilities yet unfulfilled in my life. I am humbled here and have been shown something so precious, so fragile, that my perspective of life has shifted in some way that has yet to be discovered. Ice begins to block the Strait. The view from Booth Island. …lived for 7 years in the heart of the Afghan Wars from 1990 till 1997 as the Program Manager for Save the Children. This added her 5th language, Persian. Many international programs involving women, children and micro credit in areas of conflict have been designed and implemented by her as well as some 20 popular safe playgrounds in mine and cluster bomb contaminated areas of Kabul. She founded the Afghan Campaign to Ban Landmines and was part of the team that won the 1997 Nobel Peace Prize for banning landmines. Since then Mette has been active in creating a new international treaty to ban cluster bombs and is currently spear heading the international efforts to get the Pacific Island nations to join the treaty. If you are getting the sense that we are in the presence of extraordinary people who have dared to let dreams dictate the course of their lives, this is the impression I am trying to convey. Because these are “the kind of dreams that give a whole life its bearing…” Barry Lopez, Arctic Dreams. The Ioffe off Port Charcot. Did he or didn’t he? After taking fourteen days in 1578 to head west through the Strait of Magellan into the open sea of the Pacific, Francis Drake encountered a savage storm. One of his ships simply disappeared, engulfed by the sea without a trace. Briefly retreating to the western entrance of the Strait after struggling for two more weeks, Drake’s two remaining ships attempted to regain the Pacific Ocean only to be battered further south by a renewed tempest. The third ship in Drake’s fleet turned tail and fled back to England, convinced that Drake had been lost and would never be seen again. This left Drake alone in the Golden Hind and blown far south of the Strait of Magellan “…towards the Pole Antarctic as a pelican alone in the wilderness” (Sir Francis Drake, the British Library Historic Lives). Here, he saw open water south of Tierra del Fuego and deduced that it would be possible to “round the horn” of South America. Yet a map included in Francis Fletcher’s account of the voyage identified an island south of Cape Horn where none exists. Was he really south of the horn? It was on this island that Drake and crew recovered from their ordeal. But El Draco, as he was known to the Spanish, was famously deceptive and “…cooked the books and spread misinformation about his course to confuse the Spanish” (Forgotten Footprints, Lost Stories in the Discovery of Antarctica). Drake, after all, was a pirate with a license to plunder the Spanish Main. Queen Elizabeth sent him on a mission, to be disavowed if captured, to wreak havoc along the west coast of South America. Having done so, and made his fortune in the process, he reckoned it was foolish to return through the Strait of Magellan. Every available Spanish ship would be looking for him there. So, given he was in his natural milieu, Drake exhibited characteristic daring and decided the route home was to the west across the Pacific. Why not circumnavigate the globe? Truth and fiction inhabit the same space within the myth of Drake and are hard to untangle. This is the man who, upon the approach of the Spanish Armada during a game of bowls, allegedly remarked “…time enough to finish the game and beat the Spanish after.” Perhaps it is more correct to observe that Drake was “economical with the truth” as the Irish would say. So, it is fitting that one of the most violent and unpredictable bodies of water on the planet is named after him. Whatever the reality, Drake was correct about the existence of the passage that bears his name. Would we or wouldn’t we? This was the question on our minds. Would it be the Drake Shake or the Drake Lake? Secretly, we were hoping for a bit of a tumble. Not quite the “there she blows,” furniture bouncing off cabin walls and no soup at dinner, but a good enough shake and roll to have a story to tell back home. 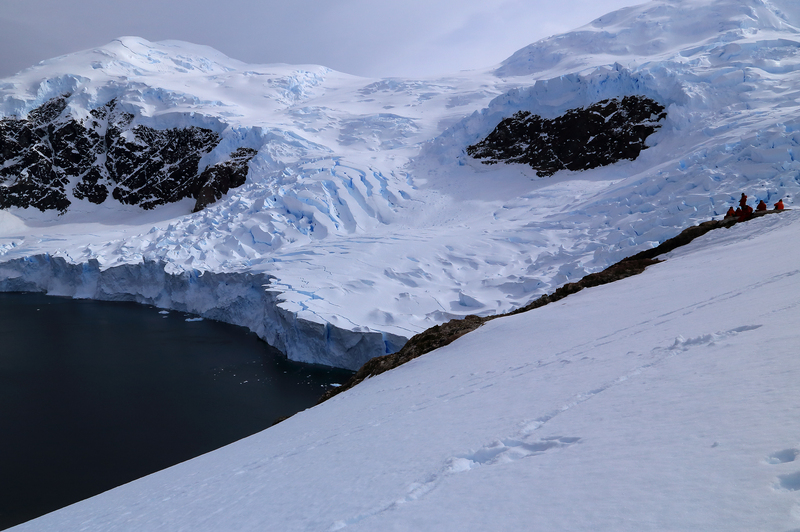 This five-hundred mile passage between the tip of South America and the Antarctic Peninsula opened up some thirty-one million years ago as South America nudged away from the Antarctic Peninsula. 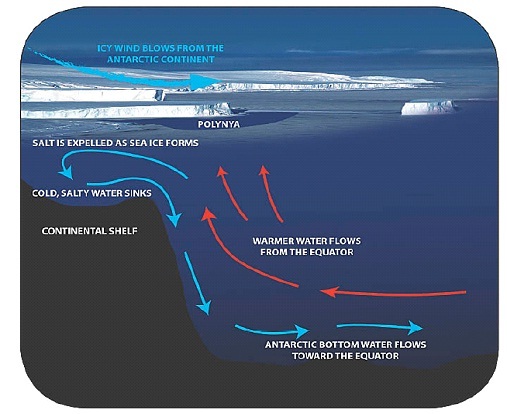 This parting created the Antarctic Circumpolar Current – “the largest current system on Earth” (Antarctica, Global Science from a Frozen Continent) – and began the cooling process of Antarctica and the consequent growth of its continent-wide ice sheet. Since this current is unimpeded by land as it circulates the planet, waves are known to peak at twenty-five meters. The Ioffe awaits at the end of the pier. Cherry-Garrard’s book, The Worst Journey in the World, is at my bedside when we wake in Ushuaia on the morning of December 18. Dashing upstairs to take our breakfast, the mountains sparkle across the Beagle Channel as we take in the panoramic view of the city from the top floor of the Alto Andino Hotel. The Ioffe is docked at the pier waiting for us – a sleek white sliver set in blue sky and waters. Boarding time is three-thirty, so we wander the streets thinking we spot fellow passengers doing the same. In the Café-Bar Tante, groups of travelers have that anxious look of anticipation in their eyes. But the time passes quickly, and we are soon treated to the indispensably marvelous hospitality of the One Ocean staff at our meeting place, the Hotel Albatros. From here, we are checked in and effortlessly transferred to the ship. The traffic bustles along Avenue Maipu during the Ushuaia rush hour, and the docks are noisy with chaotic motion. Cargo is randomly moving on and off ships, and forklifts weave rhythmic paths through randomly stacked boxes. But the ninety passengers are efficiently boarded, and we are soon steaming east through the Beagle Channel. Leaving the sounds of civilization behind, we begin to see the wonder of this remote land. Almost everyone is out on deck pointing cameras and admiring a landscape that predates human existence. There is excitement, of course, but also silent reverence and amazement. Ordinary life cannot compete with this experience. Chad Gaetz, who in between polar seasons is an accomplished installation artist, is the expedition leader. In the dining room, we get the first of his many briefings. The crossing to the Peninsula will take two days. But they will be busy days in which we make sure that clothing and equipment are a proper fit, get instructed on marine safety, become familiar with the ship, learn about zodiac landings, are given a preview of possible landing sites and understand the importance of the Protocol on Environmental Protection to the Antarctic. It is a bit like being at camp. Chad recommends that we “Drake proof” our cabins. That is, secure anything that might have a tendency to go mobile during the night as the ship rocks from side to side. The weather forecast for the moment is calm, but as the One Ocean literature cautions, “predictability is a word that has no relevance in this environment.” Nevertheless, we end up with the “Drake Lake” during our crossing. Humpbacks swim next to the ship. “There be whales” on the second day. More whales than I have seen in one place – Debbie and I can count at least twenty and several swim alongside the ship. It is here that the floor of the ocean rises from a depth of 4,000m to 500m. This upwelling of current provides a buffet of nutrients and is a favorite feeding ground. Whales undertake a three month commute from their breeding grounds near Colombia to reach this spot, so the food must be good (Antarctica, Secrets of the Southern Continent). Whale populations are only now recovering here after their near extinction one-century ago. 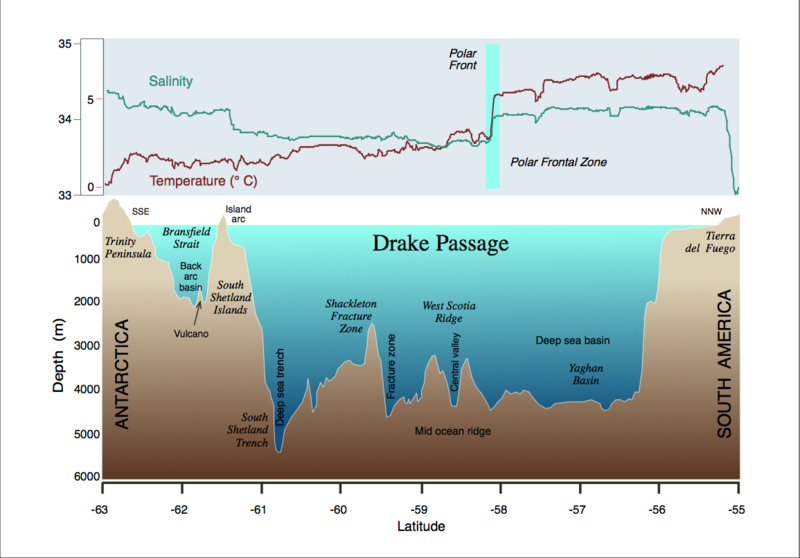 Profile of Drake Passage – Courtesy Alfred Wegener Institute for Polar and Marine Research, Bremerhaven, Germany. Such a view is only surpassed by our first sighting of land. Smith Island belongs to the South Shetlands, and nothing has prepared us for the spectacle of a sheer mountain wall rising nearly 7,000 feet out of the ocean. Instantly, I wish I could remain awake and not sleep for the next five days. I do not want to miss a single moment. But as the Antarctic sun briefly sets, turning the icy cliffs shades of pink and purple for which no words exist, sleep we must. 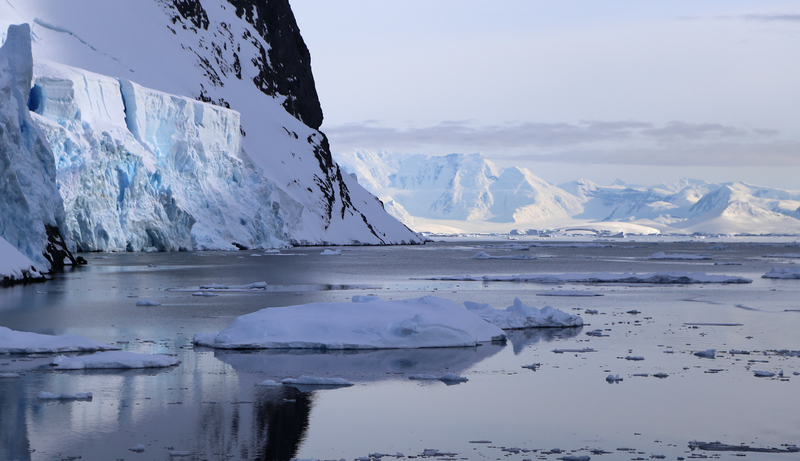 In the morning, we will wake in the magical Lemaire Channel. The Dublin Irish Pub in Ushuaia is booked solid for a Saturday night, so the barkeep seats us next to “mi amigo,” takes our order of pizza and writes “dos gringos” on the tab. 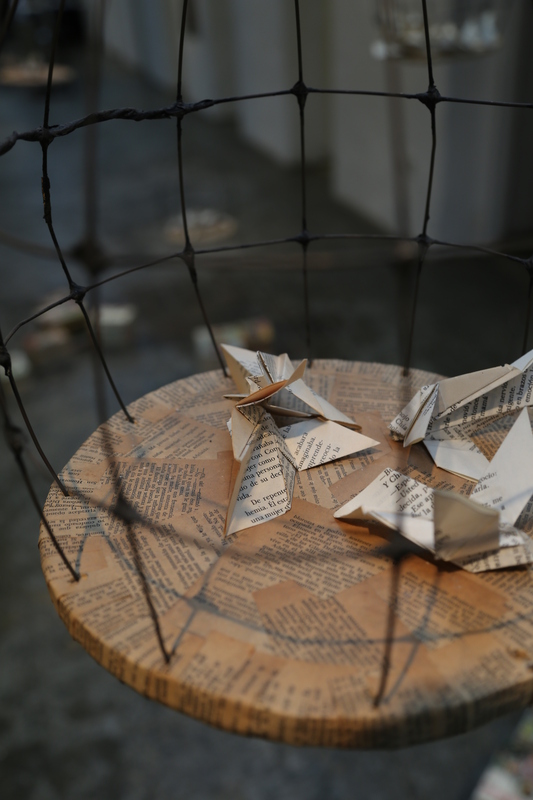 Words locked in a cage as art in the Maritime Museum. “Es verdad,” he adds as I glance over his shoulder. With the pizza, we get a complimentary serving of popcorn. So, although jet lagged in Argentina, I have my favorite comfort foods in a bar fashioned after my mother’s homeland in the southern-most city on Earth about to get on a Russian research vessel for an excursion run by a Canadian company among which there will be a significant contingent of students from Hong Kong. 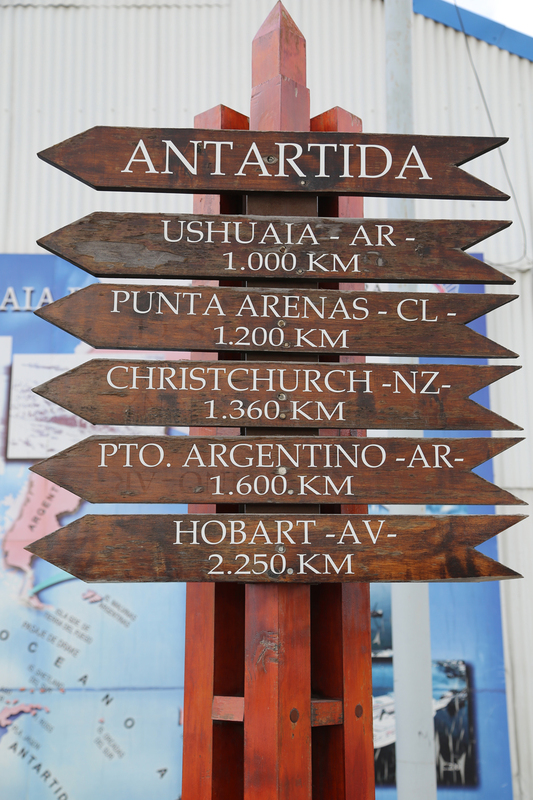 But don’t tell Chile, because they’ll tell you the southern-most city is across the Beagle Channel at Puerto Williams. The Argentines scoff that Puerto Williams is merely a “town” and not deserving of respect. In actuality, it is primarily a naval base. Ushuaia, located firmly and quite beautifully in Tierra del Fuego, is a border town. As the primary point of embarkation for Antarctica in this hemisphere, it is at that frontier where reality and dreams overlap. To scrabble along its sometimes rough or nonexistent sidewalks is to walk through a mining town of sorts. Here, they mine the unimaginable. Many languages and peoples pass along San Martin, the main shopping artery, and all are trying to get somewhere. The ususal outfitters are here to provide the proper kit for your excursion. It may be to Patagonia, Chile, Tierra del Fuego National Park or Antarctica. To steam south out of the Beagle Channel is to embrace unthinkable landscapes and possibilities. The clarity of the air dares your imagination to see further. 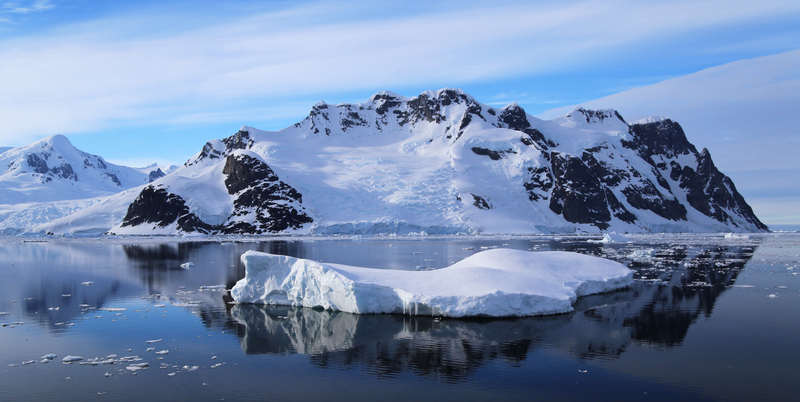 Thousands of years ago, Antarctica was hypothesized to exist by the Greeks primarily for aesthetic reasons. In order to balance out the Earth, there must be “…a landmass in the south, acting as a counterpoise to known northern continents” (Mapping Antarctica, A Five Hundred Year Record of Discovery). In fact, the name “Antarctica” comes from the Greek philosophers who knew the Earth to be spherical and used their math chops to reckon that there would be at least one day every year where the sun never set at 66° latitude and above. Project this latitude to the celestial sphere and you intersect the constellation Arkikos – the great bear. Which is serendipitous, because there are polar bears in the Arctic but not in the ant-Arkticus (from whence Antarctica). Imagine the philosophers’ embarrassment had it been the other way around. The sign at the harbor. James Cook famously circumnavigated Antarctica in 1772-1774, and would have discovered the continent had he not turned north on January 30, 1774 to resupply his ship in Tahiti. Like the Greeks, he hypothesized the existence of land, because from where else did all these icebergs come? He described the area as “… a country doomed by nature never once to feel the warmth of the sun’s rays, but to lie forever buried under everlasting snow and ice.” It fell to the Russian, Thaddeus von Bellingshausen, to actually sight the continent in 1820. 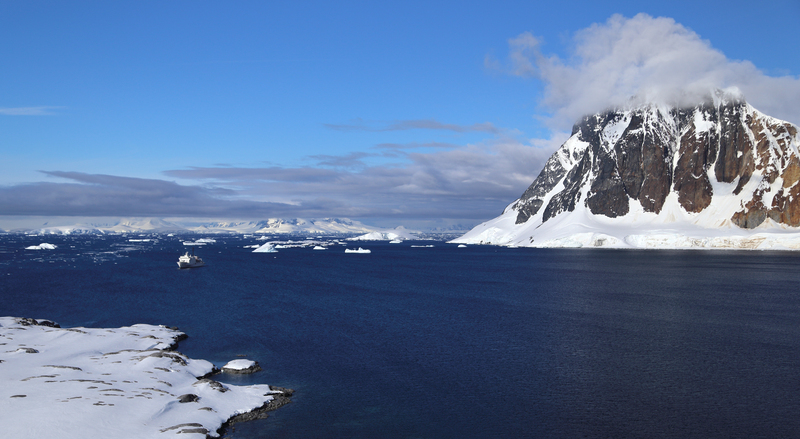 Some two weeks later, Edward Bransfield and William Smith, had a clear sighting of the Antarctic Peninsula. There are some who feel that Bellingshausen merely sighted ice, but from the coordinates listed in his meticulous log book it is possible to sight the continent…whatever. The game was on. 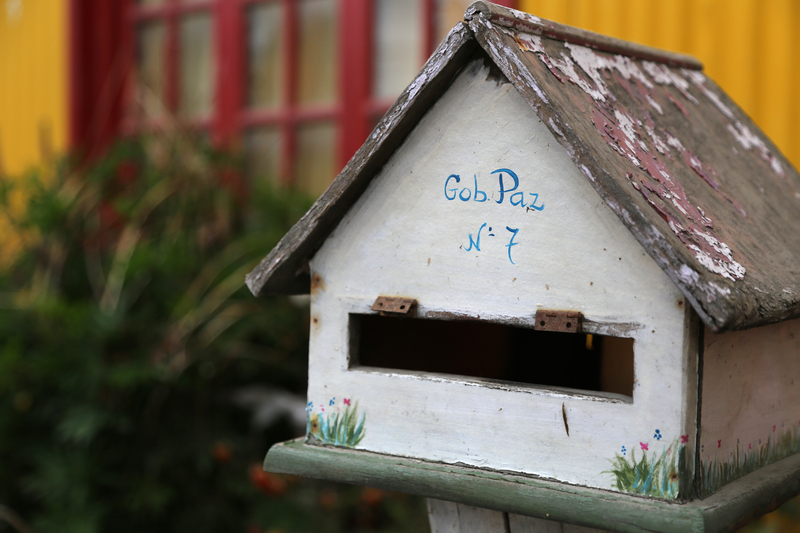 Ushuaia itself is not without its gems. But like any mining town, they must be sought out. The Maritime Museum is worth a visit. The site is part art gallery and part historical artefact. The prison for this region was transferred to Ushuaia in 1902 for “humanitarian” reasons, and construction was completed by the prisoners themselves in 1920. One wing remains extant, and it is clear that this was a hard life. Less clear as to what a “humanitarian” reason might be. Another gem is the Yamana Museum – small but informative. These unfortunate people, like so many, did not survive their encounter with the Western World. They are a reminder that well-meaning intentions can have disastrous and unforseen consequences – whether Tierra Del Fuego, Afghanistan or planet Earth. It has been said that there is a condition where the ice gets into your blood. Charles Neider talked of it in Edge of the World. Read even the early explorers of Antarctica, such as Charles Wilkes and James Clark Ross, and you will understand that Antarctica can become an addiction…Even while you’re there the place sometimes seems like a fantastic dream. After you’ve left it you want to return to make sure it really happened to you, in all its grandeur, rarity, purity and beauty. 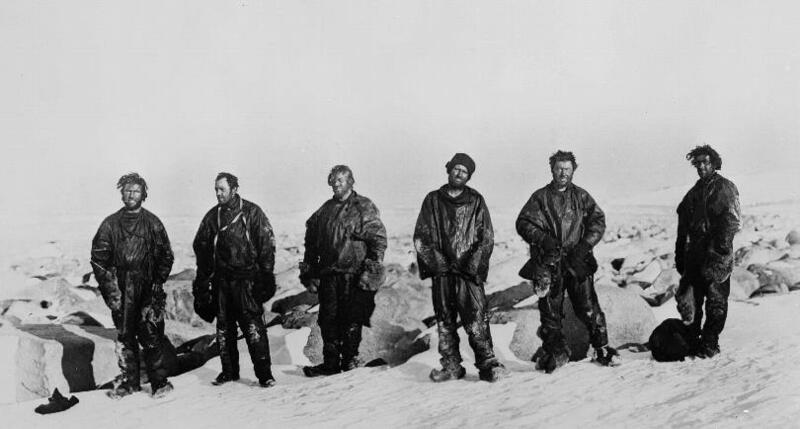 Scott expressed it somewhat differently when his team made it to the South Pole only to find they had been beaten to the prize by the great Norwegian Roald Amundsen. Good God this is an awful place. God sent his daylight to scatter the nightmares of the darkness. And then there was the Australian Douglas Mawson who reflected on his travails. We dwelt on the fringe of an unspanned continent, where the chill breath of a vast polar wilderness quickening to the rushing might of eternal blizzards, surged to the sea. We had discovered an accursed country. We had found the Home of the Blizzard. So yes, I have ice in my blood. I have become so afflicted and am enthralled with stories of polar exploration. 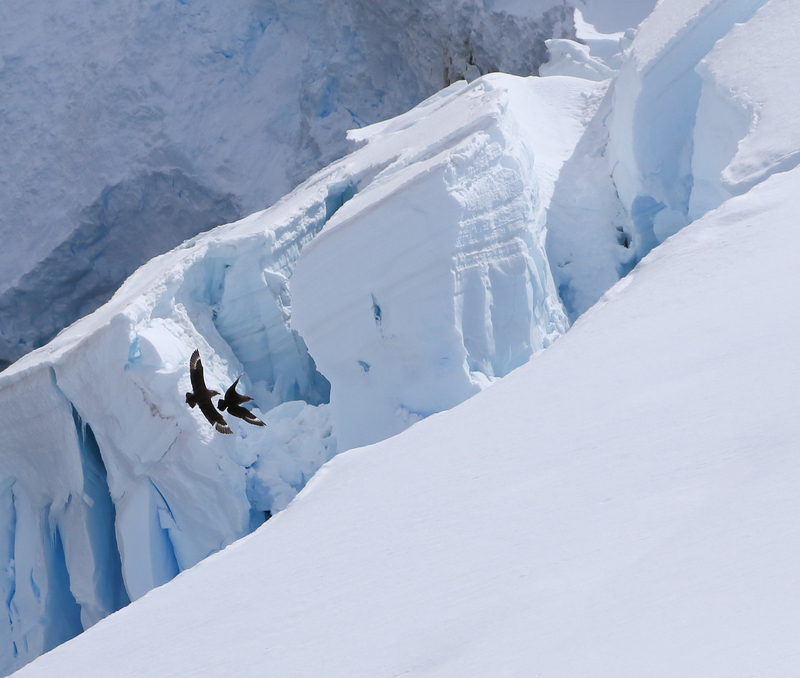 Antarctica is a place where superlatives are not equal to the task of describing the experience. 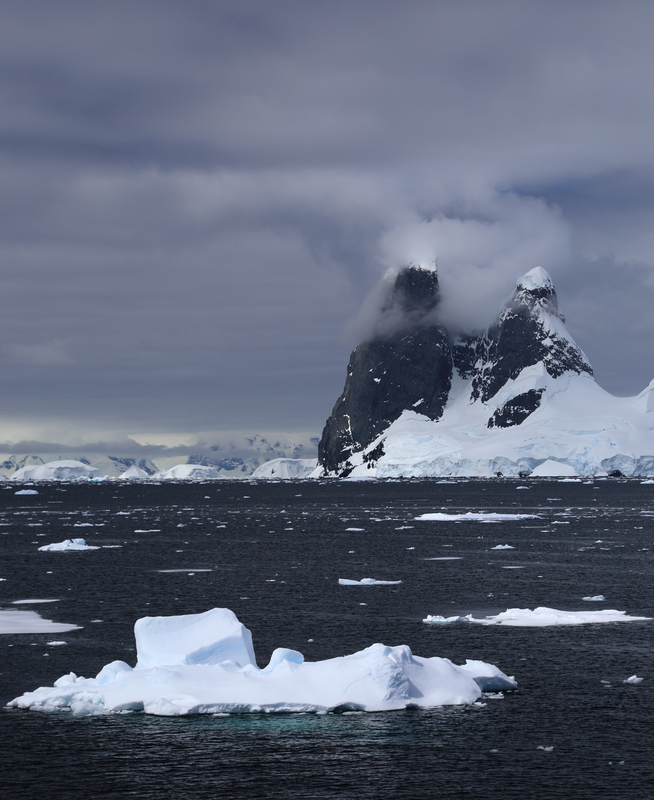 No language can impart the humbling thrill of seeing the sheer mountains of the Antarctic Peninsula rise five thousand feet out of the ocean – like whales breaching up into the clouds. Or of seeing animals and marine life unafraid of human beings and glaciers draining a continent of ice spilling out onto the water to become sculpted icebergs. And of course, penguins…many, many penguins. 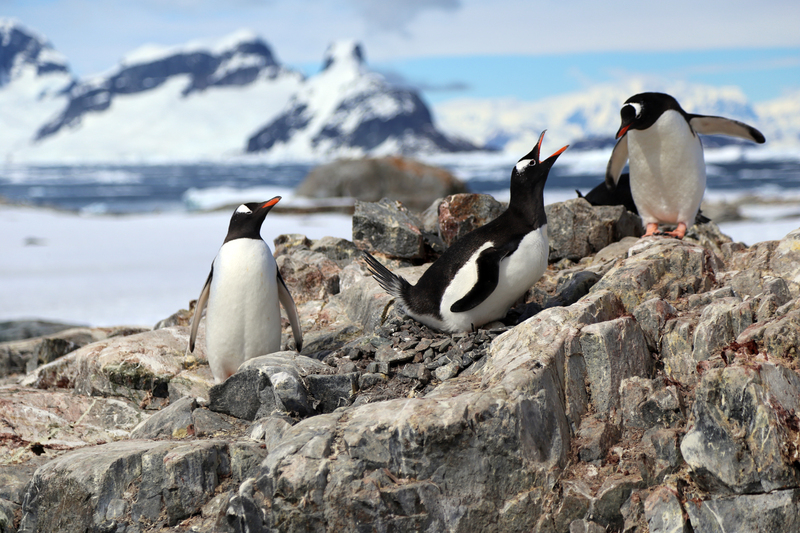 Gentoo penguins on Cuverville Island. 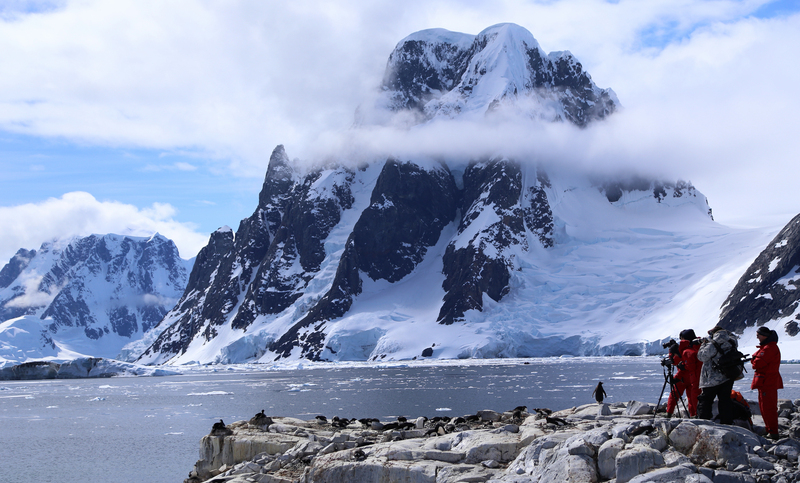 Debbie and I were fortunate enough to travel to the Antarctic Peninsula this past December with OneOcean Expeditions. It was a journey that exceeded our expectations on many levels. There is not much in the world these days about which that can be said. But then Antarctica is probably the closet you can get to leaving the planet without actually doing so. This mere travelogue is my homage. I shall update it in installments until we end where we begin, in Ushuaia, Argentina, near the southern tip of Tierra Del Fuego.